What it’s about: When Minke is 15, a distinguished older man in a yellow car arrives at her parents’ home looking for a girl to come to Amsterdam to nurse his ailing wife, Elisabeth. Minke’s time with Elisabeth in the attic of her lavish home is short, but the two form a bond as Elisabeth relates her travels to Argentina through sporadic opium-induced dreams. Then, suddenly and almost without warning, Elisabth passes away and Sander DeVries—the man who came to fetch Minke—proposes to Minke, hoping to secure a new wife less than three days after his last has died. At first scandalized, but later charmed by Sander and his promises of adventure and beauty in Argentina, Minke accepts and the two are married in the old way, breaking a ring in the company of her family. Minke and Sander board a ship for Comodoro Rivadavia, along with Sander’s business partner, Cassian, an enigmatic doctor charged with looking after Minke while Sander sees to his business ventures onboard. Minke’s life settles into a series of peaks and valleys. She falls deeply in love with Sander, enjoying their nights together and his passion. But Sander often leaves her alone and in the dark, about himself and their future. The nature of his business is murky, mixed up in oil, shipping, and morphine, and he shows streaks of jealousy and possessiveness as Minke befriends some of the men onboard. At her first sight of Argentina, Minke is disappointed by the barren, dirty town, its houses with walls of corrugated iron and dirt floors, but she soon embraces her new surroundings, befriending the wild gauchos who ride into town to trade, much to the dislike of her husband. Minke will soon find out that Sander is not the man she thought he was and will have to fight for a happy future for herself and her children. A Young Wife is compelling, partially as it’s based on the true story of the author’s maternal grandmother. It’s the second book I’ve read this year that tells of women’s struggles to carve out better lives for themselves and their children in male-dominated societies. (More on the first here.) Minke’s voice is honest and clear and Lewis weaves a beautiful narrative. Some elements are a bit expected, but in general the story is fact-paced and engrossing. I could have done without Minke’s secondary love interest and found Cassian inconsistent, sometimes acting in sinister capacities for Sander and sometimes proving Minke’s ally. But these niggling points aside, it struck me that while Minke’s story is a coming-of-age tale, it’s also about a woman learning to understand a man and the progression of their relationship. We see Sander through Minke’s eyes and though there are clues that he’s duplicitous, we always have Minke’s understanding and also her love for him, especially in the first portion of the book. As their story unfolds, we see what Minke thought was a love story dissolve into a tragedy. But with this dissolution, Minke learns about herself and grows up. She is, after all, a very young wife. Would I recommend? I enjoyed this book and read it quickly. It has many elements that I am drawn to: a strong female narrator, a historical basis, and travel to exotic locales. 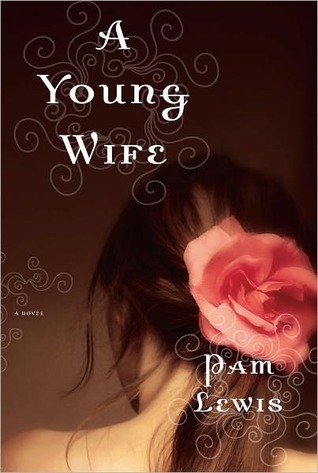 Though a few plot points didn’t come together for me, A Young Wife is emotionally honest a worth a look for fans of historical fiction and romance. I’m not usually a fan of historical fiction, but I enjoyed the review. I’m curious how plot points didn’t add up if it was based on a true story though. Could you expand?